Taking the Training Wheels off your Blog - InsideOut Solutions, Inc. So you have been blogging, have you? Great! Blogging any where, about whatever suits you, is the first step. But now that you have the hang of it, it is time to venture down the block all on your own – the training wheels need to come off! Now is the time to convert that blog to a hosted version of WordPress. Since WordPress is open source software (free to use) a community in the thousands are creating plugins, development templates and easy to use Search Engine Optimization features that will help you get great search engine placement. 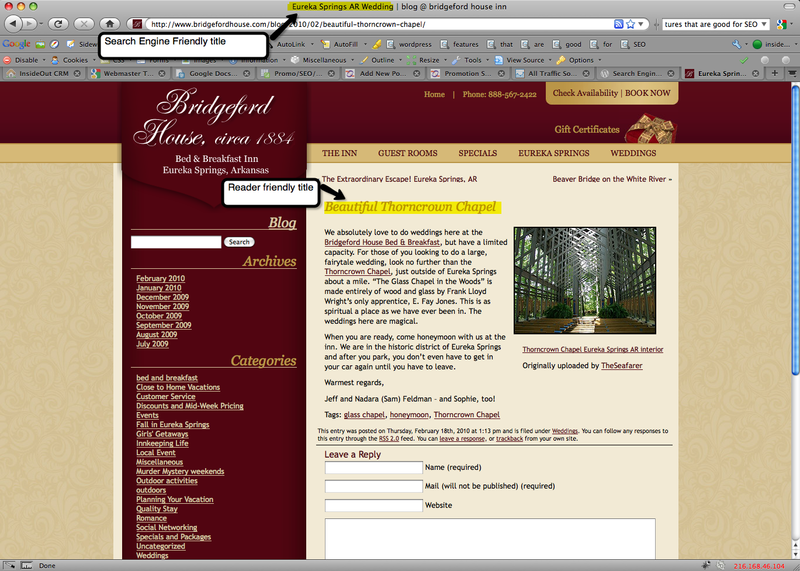 Customize your URLs to be canonical and include keywords from your category or post. Plugins like All-in-One SEO Pack enable you to make search engine friendly titles while still using reader-friendly titles. Simultaneously. XML sitemap generator plugin. Get a new sitemap generated and submitted to major search engines very time you make a post. The ability to make both posts and static pages within the same software. 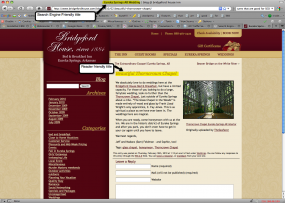 The ability to customize or change widgets appearing on the blog page. The “add more” tag that enables you to organize posts so that each new post won’t take up your whole home page. See Horseshoe Canyon Ranch as an example. Not only do I enjoy the writing, but it draws people to become aware of my bed and breakfast, and more traffic on my b&b site always was my goal in mind. The fact that I love doing it is a plus. My guests love it too, and often mention that they used my posts to help them plan their trip. This blog is very important to my business now. In retrospect, I wish I had started out with a simple WordPress design and then expanded on that. It would have made the move easier. Live and learn and never stop learning. Now I can’t stop writing and have started another more personal blog. This time I started in WordPress. So if you are ready to make the switch to the hosted version of WordPress give us a call at 1-800-500-8401 or drop us an email.